In recent years the number of books on many hobbies and entrepreneurial endeavours has increased staggeringly. That includes aquaponics as well. The attractive mix of hydroponics and aquaculture has prompted both those experienced in the field as well as the novice but enthusiastic hobbyists to take a chance as writers. Many tutorials, manuals and books have been written about various aspects of aquaponics, from different author perspectives. Naturally, the increase in information and the ease of availability is certainly a plus. However, among so many options and offers, it can be hard to deduce what particular book will cover most of your needs for quality information. Also, there is a just as important matter of personal taste and preferred writing style. Because of the wrong matches and decisions, the web is full of comments and reviews posted by angry readers, many of whom have obviously picked the wrong book. Some have also been misled or scammed and ended up giving money for recycled, invaluable information. To avoid finding yourself in this mess, I have reviewed some of the most popular resources on aquaponics that are available today. Let’s dig into the world of aquaponics books. Meg Stout is an engineer with a physics background. As a writer, she focuses on environmental stewardship, and also historical fiction. As for her aquaponic credentials, she is an officer of the Aquaponics Association. She is also a founder of Saving Water LLC, a water-usage stewardship organization. Like all books from Complete Idiot’s Guide series, the guide on Aquaponics provides a broad spectrum of information from the field. 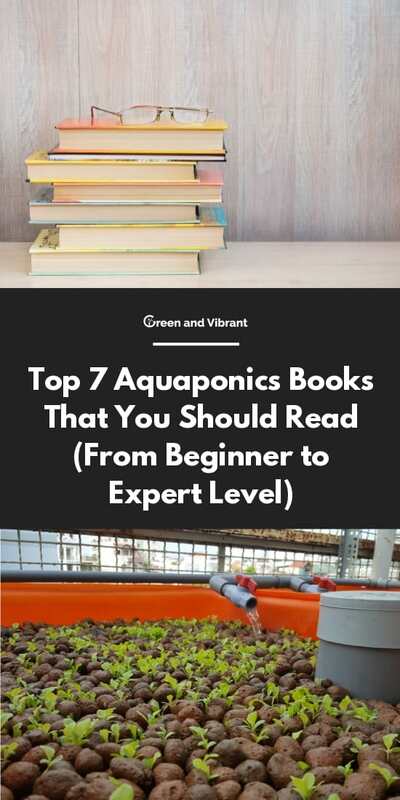 It is one easy to read, follow and understand aquaponics guide for rookies, and a good book to have at hand when you need to do a quick aquaponics fact-check. Some readers will object to the lack of illustration and images in a visually interesting topics, but that is also one of the trademarks of the series. Sylvia Bernstein was one of the original members of AeroGarden team - possibly the most famous pre-made hydroponic system. In 2009, she poured her vast experience in hydroponics into a new aquaponics practice. Two years later she created this enthusiastic book. Today, her “Aquaponic Gardening” is one of the most-read books on the subject. “Aquaponic Gardening” is intended to be a comprehensive book on the subject, which will provide you with the knowledge you will need to start building your home system or to “shop intelligently” if you are not into DIY. You will get the basic understanding of all relevant aquaponics principles, raising plants and raising fish. A word of caution: Sylvia builds a nice narrative - the book reads like a novel. While this is an advantage for some, those of you with more systematic minds might object that the information is not more concise and condensed. As Celine knows all about the significance of healthy foods, she is well aware that aquaponics can provide nutrient-dense, wholesome and chemical-free addition to every family’s table. The book is written in a casual style that is easy to understand. It is an introductory book, aimed at beginner enthusiasts, and perhaps share core interests with the author. It will give you a good overview of options for aquaponic systems and everything you can do with them. However, it is not exactly a how-to guide, so don’t expect it to provide you with specific in-depth instructions for building a complete system. Up until now, you could learn about introductory books on aquaponics which can help you take those first steps and get the basic idea about this amazingly variable practice. Now, I’ll present you something intended for those of you with bigger ambitions. Adrian Southern and Whelm King have intended this book for people who want to build their own commercial-scale aquaponic system in a cooler climate. The fact that it focuses on cold-water aquaponics gives it special value, since not many other books go into the specifics of cold-water systems. The main concept covered in the “Aquaponic Farmer” is a 120’ greenhouse system, designed to be operated and maintained by one person. The first five chapters of the book will take you through the complete building process, with a generous amount of illustration to make it easier to understand. The second half of the book describes the system operation. All in all, the “Aquaponic Farmer” is a must-read for all enthusiasts who would like to take their aquaponic production to a higher level, as well as for those of you who intend to build a productive system in a cool climate. In his book, Packer Bowe has neatly summed up information about aquaponics practice. As a beginner or an aquaponics researcher, you will find a lot of well-defined information between these pages. It is especially useful for the reader to get to know the different types of aquaponics systems that are commonly made and sold. However, the title of this book is somewhat misleading. With the amount of information and the scarcity of diagrams that are presented, it is not a sufficient, stand-alone resource for building an aquaponic system. In short, if you are looking for an introduction or a study resource for aquaponics, this book might be for you. Its affordability is certainly an advantage from that perspective. However, don’t count on this book to give you instructions for building a fully functional system. The author of this compact manual had spent half of a year figuring out the right size and ideal configuration for a solar power system aimed to make electricity for his aquaponics system. After successfully completing his mission, he decided to share the knowledge he gained with the world. Since a typical aquaponics setup consumes a lot of power, for many people being able to go off the grid and get the needed power in a sustainable way is an important and attractive subject. 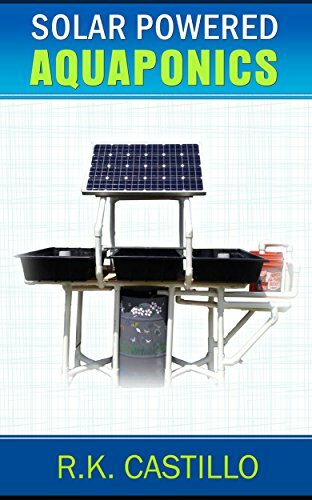 The important thing to know right at the beginning is that this 39-page handbook doesn’t provide you with instructions on how to build an actual aquaponics system, but only how to build a solar power system for running the pumps. The manual is best combined with another good general guide for aquaponics. The ebook is available for free with the Kindle Unlimited Subscription. We aquaponics enthusiasts are in luck, because one of the most precious resources on aquaponics is free to download. This broad, 262 pages, high-quality technical paper published by Food And Agriculture Organization is an excellent resource for everyone interested in aquaponics and can tolerate the technical language the book is written in. Because aquaponics is one of the agricultural practices that is suitable for arid, poor regions, where protein food is scarce, and therefore becomes a socially significant issue. By promoting it, FAO is hoping to offer one more piece of solution to the world’s hunger problem. That is why the electronic version is available for free. The FAO aquaponics paper provides the brief history of the practice, all the basic principles, detailed descriptions of the most common types of systems and fish and crops you can grow within them, details about water quality and testing, and more. Note that the language the book is not written in a popular, bestseller style, though it is not highly technical either and can be understood by a broad audience. Like other FAO publications, it contains a lot of figures, tables and illustrations, and it is well-designed and user-friendly. There used to be a paperback version of the book that was available to buy not too long ago, but currently it is out of print and out of stock on major book dealing platforms. Seems like aquaponics is really growing in popularity. I hope this overview will help you find the aquaponics resource that is perfect for you. 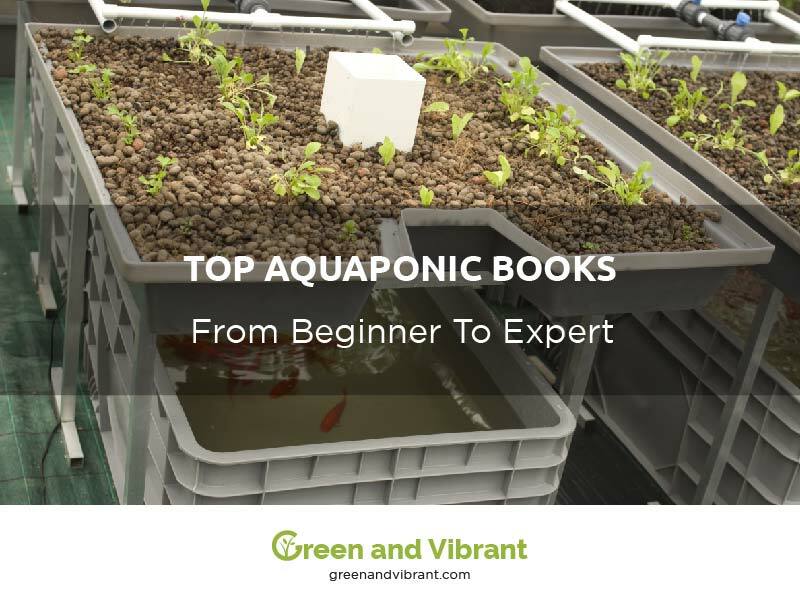 Do you already have a favourite book on aquaponics? A good book recommendation is worth gold, so we would love to hear from you in the comments!